Practicing yoga since 2000, E-RYT 200, Ayurveda Health Counselor and 3 Wisdom Traditions mentor Laurie Dean began her Parayoga journey in 2003. Ever curious and passionate about learning, a day long workshop with Yogarupa at a YJ conference in 2003 sparked Laurie’s interest! Feeling like a kindergartner in a PHD class that day – what is this practice all about? – motivated her to begin her Parayoga training in 2005. 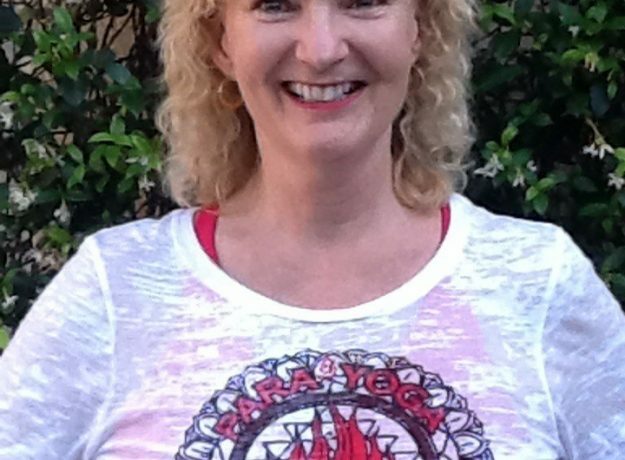 Parayoga’s life affirming and practical practice approach continues to inspire Laurie and to share the beauty of Parayoga practice with others motivates her to teach. Laurie became a certified Four Desires trainer in 2016. Working with the knowledge Yogarupa shared in his Four Desires book along with many hours of training, has helped shape her life in the most positive and powerful way. It is so rewarding to share this work with others and guide them toward living the best expression of their life! Laurie works privately with students along with offering The Four Desires training at yoga studios and at the Himalayan Institute in the fall. A true Pitta – always on fire to learn more – Laurie has been studying Ayurveda for 10 years. In 2015, she completed the 2 year Himalayan Institute certified Ayurveda Health Counselor program taught by Kathryn Templeton and Dr Rosy Mann, head of Kripalu’s school of Ayurveda. Laurie teaches as part of the HI Ayurveda Yoga Specialist program, helping yoga teachers develop their Ayurvedic knowledge and is a mentor in the HI 3 Wisdom Traditions program – an innovative training for teachers and therapists that uses Yoga, Ayurveda and Psychology to help clients and students develop self- regulation and create balance in their lives. With a BA in Social Work, Laurie brings her service heart into her public classes, workshops, and her private consultations.